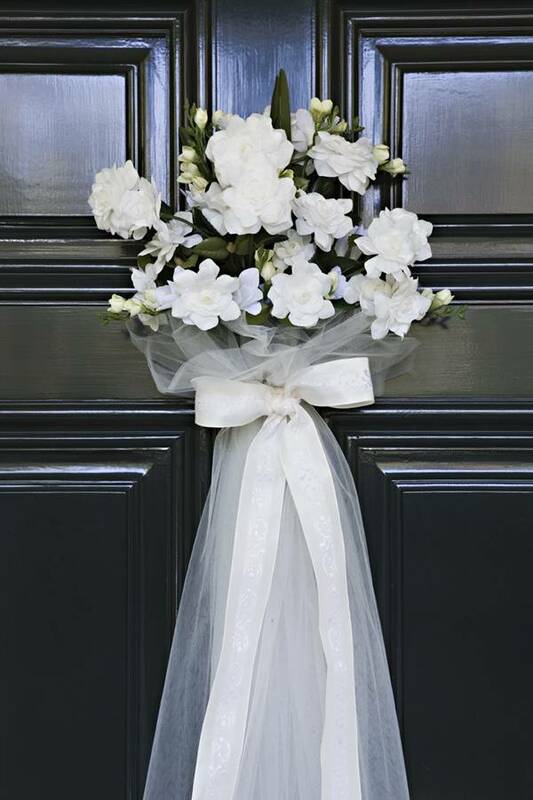 When you have your wedding shower decor completely planned, don’t forget the entry door! This is the perfect way to greet your guests and get them in the mood to party. Here are some fantastic wedding shower door decor ideas. This adorable idea looks like a bouquet and veil and is really charming and beautiful. It’s also easy to create, simply by pinning the sheer fabric to the flowers and allowing it to cascade to the ground. 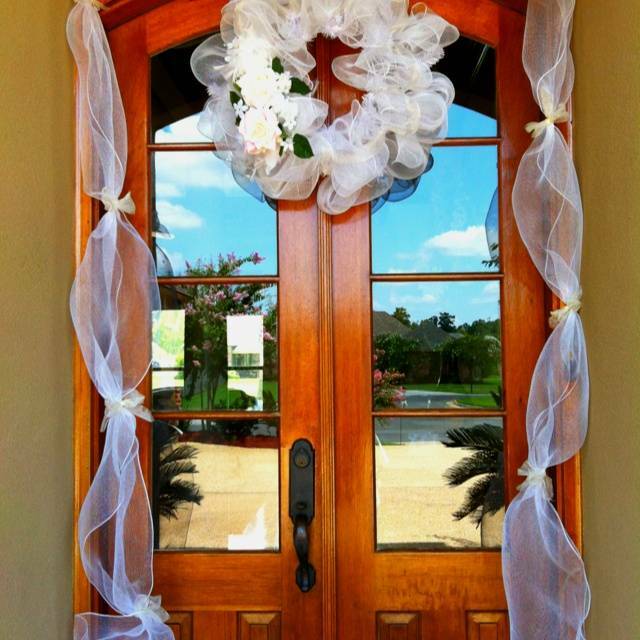 For a more traditional look, this decor idea features a wreath created from a sheer bridal fabric. The same fabric is hung on both sides of the door and embellished with ribbons. 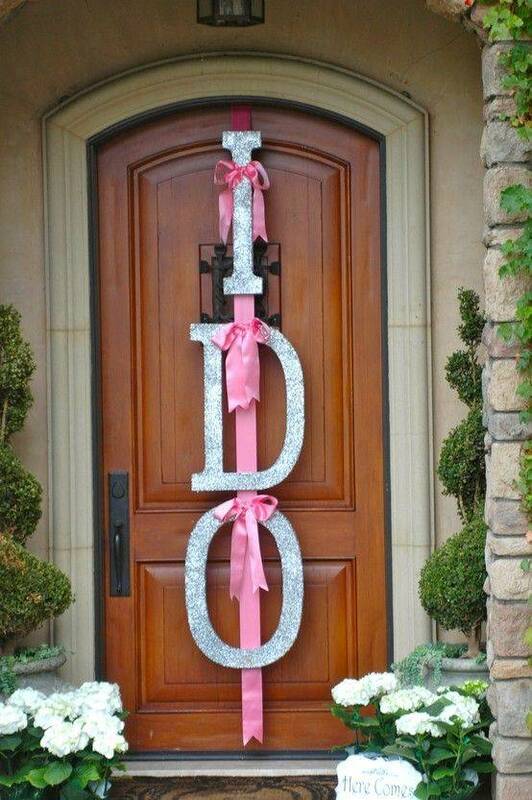 This charming “I Do” door decor is created from a ribbon and sparkling letters that spell out “I do.” It’s easy to create and the effect is beautiful! 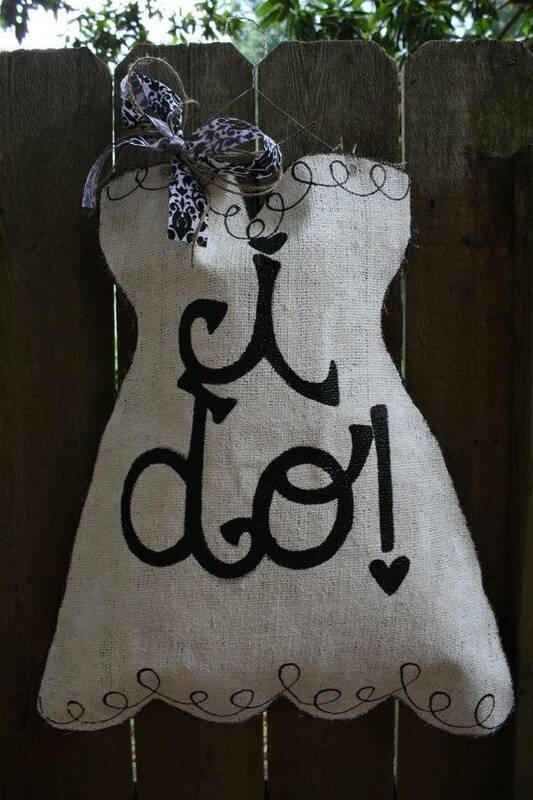 Finally, this charming burlap wedding hanger is shaped like a wedding dress and also says “I do.” It’s very feminine and a great way to greet guests who have come to celebrate the upcoming wedding! These few wedding shower door decor ideas are fantastic, but with a little creativity and imagination, you can come up with something truly unique!